Comrade Adams Oshiomhole, the National Chairman, All Progressives Congress (APC), has said that Senate President Bukola Saraki’s political career has been buried with his recent defeat. 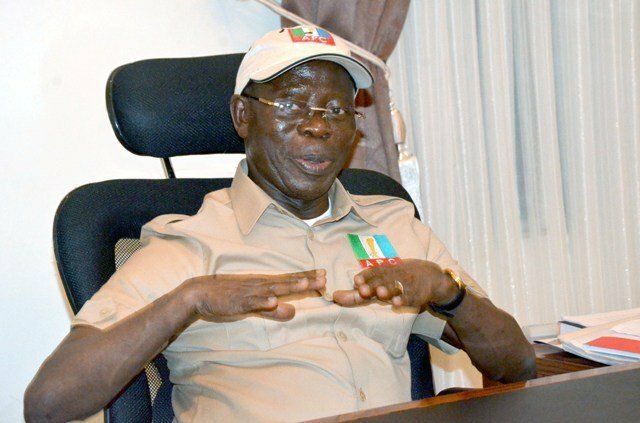 Oshiomhole stated this on Wednesday while fielding questions from State House correspondents after a congratulatory visit to President Muhammadu Buhari. He said: “But let me also say, to be honest, as much as we want to be magnanimous in victory, there are a couple of things that happened that show that Nigerian people know who to reward and they know the appropriate time to punish those who are extremely arrogant.